Students are expected to be kind and respectful of one another at all times. Instances of injustice, lack of respect will be addressed immediately by me. Oftentimes, in less serious matters, I will encourage a student to attempt to advocate for him/herself. If they are unable to resolve the situation on their own, I will intervene. Class participation is highly encouraged; it demonstrates understanding of the lessons being taught. If a student would like to answer a question during a lesson or share a story, he/she must raise his/her hand. Students need to get into the habit of raising their hands to share any information with the class. This allows everyone the chance to speak and be heard. 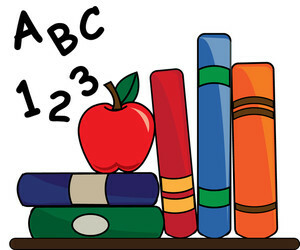 A student&apos;s average grades are based on his/her classwork, homework, quiz and test grades. I will be the teacher for your child in the following subjects: English Lanuage Arts, Social Studies, Religion, and Computers. Visit the Parent Handbook to see the grading scale for our school. Homework is given on a daily basis Monday-Thursday. Typically students will have assignments in 2- 3 subjects. These subjects will vary day to day. Weekend homework is given occasionally if a student has not finished his/her work in class that week or if there is a test on Monday. A packet of graded papers for the subjects I will be teaching will go home a few times a month. Please look over your child&apos;s papers, sign the first page of the packet, and send it back with your child as soon as possible. Birthdays are a special occasion and celebrations are welcomed. You may send in a special treat with your child to give out at snack time to the class. Please make sure the treat has no nut products to insure the safety of any student who may have a nut allergy. If your child is absent and you would like to pick up his/her missed work that day, please send me an email in the morning so I can gather the work and send it to the office. If you are unable to pick up the work, your child will receive a packet of all missed assignments when he/she returns to school. Students will be instructed as to when the assignments are due.